It’s been a while since Order had their collective asses handed to them. FOTF was ready for yet another day of playing alts to find any semblance of RVR action when we heard of a couple of Destro warbands. I didn’t take the threat seriously until they flipped Caledor. 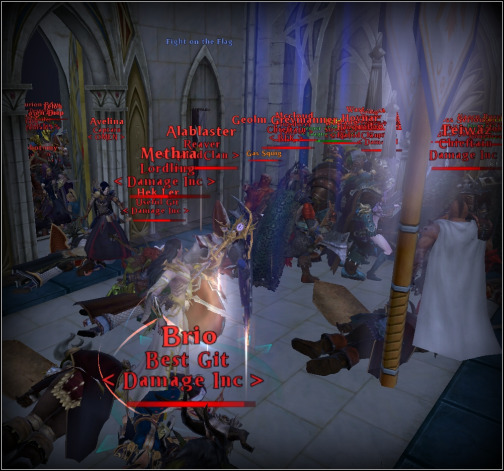 After Caledor flipped, I put out the rallying cry in alliance chat and told people to join my warband and get in vent. At this point the Destro had already claimed Covenant of Flame. When Destro hit Drakebreakers we had a whopping two groups. So we did what we FOTF tries to do best. We queued for Serpent’s passage. The beatdown was humiliating and awesome. What happened next is something that hasn’t happened in a long time. We got stomped. It’s hard not to get stomped when you have a full group of PUG in the scenario. Somehow Destro made everyone who was not level 40 stay out of the scenario queue and only let the pro players go in preset groups. After our beatdown, we went to Drakebreakers, but Destro rolled through us like we weren’t even there. Destro flood the inside of Drakebreakers Scourge. They flipped Dragonwake and we were then fighting in Eataine. By this time Order had I think two warbands trying to defend. The group of Destro had grown so large that we really had no hope of attacking the main force, so I ordered my warband to skirmish and cut their reinforcements. We tried to take defensive positions, but in the end it was just prolonging the inevitable. 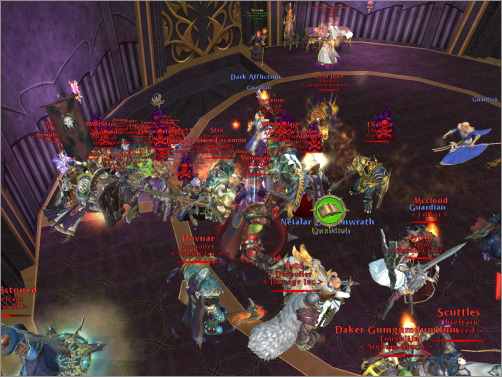 Order tries to defend the Chillwind Manor battle objective in Caledor. Our last-ditch effort to try to prevent a zone flip failed because the battle objective was bugged and we couldn’t claim the flag. It wasn’t long before we gave up and ran to the Shining Way Fortress to lick our wounds. For whatever reason they couldn’t take the fortress, but it was a mighty attempt. After the Fort defense, I looked at the clock and three hours had whizzed by. There was more action to be had, but I had not yet eaten dinner. This morning I see Destro has pushed all the zones to their side. I admit I am in awe of that type of organization, and I sincerely hope this is a sign of better fights to come. This entry was posted on Sunday, February 8th, 2009 at 7:31 am	and is filed under keep defense, RVR, Tier 4 Scenarios, zerged. You can follow any responses to this entry through the RSS 2.0 feed. Both comments and pings are currently closed.